An Indian thread has run through Facebook since before its existence as we know it. The original team of Harvard students who bandied about prior incarnations of the social networking site in the early 2000’s included Indian-Americans like Divya Narendra and Sanjay Mavinkurve. The importance of the role they played is subject to controversy as evidenced by massive lawsuits and a Hollywood blockbuster. But both men have now moved on to other endeavors. Facebook meanwhile is fresh off its long-awaited IPO, so it’s a good time to take stock of where the company has been and where it’s going. India is already a core piece of the Facebook puzzle for operations and market potential. The company has over 45m Indian users, opened a hub in Hyderabad in 2010, and the expansion has continued since. India figures to increase in importance for any social marketing site. However, India presents multiple serious problems for Facebook, some unique and others a microcosm of troubles writ large. Facebook user growth in India is exploding. The company started making serious inroads in India only a few years ago. Last year the number of members doubled. Analysts also expect the number of Internet users in India to grow from 120 million to 400 million in three years; in a similar time frame Facebook can reasonably expect a tripling of its user base there, at which time India would surpass the #1 country for usership today, the United States. Facebook’s user base as well as general Internet connectivity numbers are near their natural ceiling in most Western countries. From there, India could easily remain Facebook’s largest market in the world for years to come given the Chinese government’s efforts to block the site in the only country that can compete with India on Internet user volume. Multinational and Indian companies know this. Indian marketing campaigns and causes have prominently featured Facebook roll-outs with great success. For example, the Adidas Cricket page has over 1.5 million likes and users who return repeatedly, most of them from India. The Shari Photography Academy created the largest photography community on all of Facebook. There are many more examples. 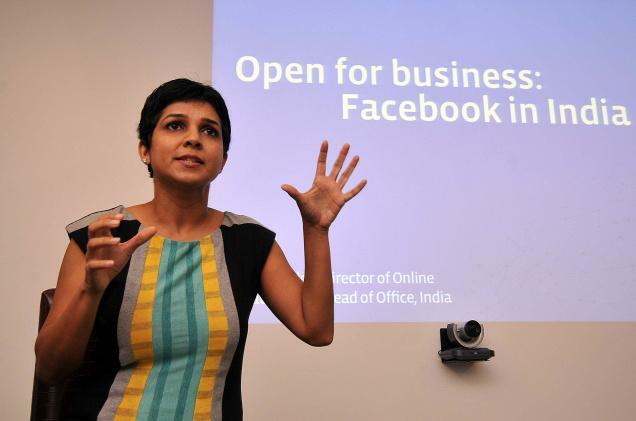 According to the company website, the Facebook Hyderabad office is “where we help support the region’s growing base of users, advertisers, and developers.” Kirthiga Reddy was chosen in 2010 to head this new endeavor from the ranks of Indian executives with local expertise. The economies of scale in Hyderabad are certainly favorable, as thousands of qualified technical employees are available for support operations, many of them graduates of local institutes. It should be a leading hub for Facebook in India as well as Asia in general. Hyderabad is also a good crucible for experiments in marketing as a representative South Asian metropolis. 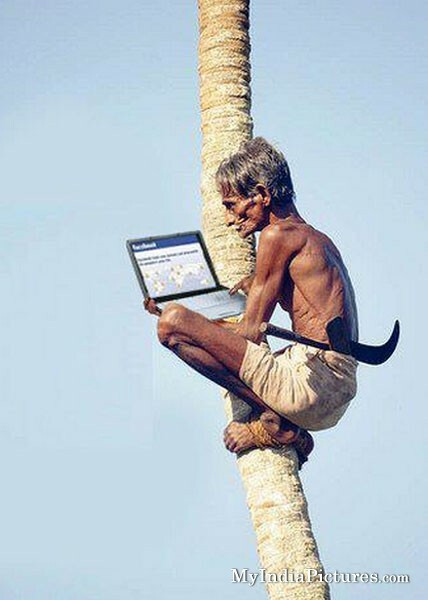 Facebook will benefit from a number of other factors in India. Mobile handsets and data plans are notoriously cheap there as telecommunications operators compete to capture a new market- so those without computers can still log on. A lot of these new handset owners are young and Internet-savvy. Facebook is also creating language access for those who would like to use Punjabi, Hindi, Kannada, or other Indian languages instead of English while online. A primary challenge for Facebook in India so far has been the rough legal terrain. Facebook has faced a string of civil and criminal court battles related to censorship of “objectionable content” in late 2011 and early 2012. The Indian government expects Facebook to censor items such as criticism of government officials or inflammatory religious photographs. To do this as a “pre-filter” before the content is even uploaded is a difficult endeavor for companies with millions of users, from standpoints of both practicality and free speech. But it’s not alone. Facebook, Google, Yahoo and others have tried to argue this point with Indian judges and Telecommunications Department bureaucrats, with limited success. And under the Indian legal system, any citizen or government official can initiate a lawsuit against Facebook that could drag on for years based on different interpretations of what is objectionable. In a nation with many violent separatists and/or religious extremists, content is a valid concern for many leaders and citizens and from their point of view, things could get dangerous. Related legal sensitivities focus on Indian national security, individual privacy, and questions about tax payments. The legal challenges are not likely to go away soon, and the Indian government will hear another appeal by Facebook in August. It would behoove not only Facebook but also the Indian citizenry if the government would more clearly specify what does and does not qualify as acceptable content, and what the ramifications of violations would be. The government should also allow reasonable time for removal of objectionable content, as is done in the United States. Additionally, enforcement of regulations is patchy at best in India even after they are on the books and this would need to be addressed. An even larger challenge in India will be the weak revenue stream. Despite the boom in users, monetizing those users has been a hassle and will continue to be. Just as mobile users in India are spending mere pennies for their data plans, advertisers hardly pay anything in India. Facebook’s revenue per user in Asia is just a fraction of the figure for North America. The general advertising industry in India is still in its fledgling stage, even more so when it comes to online advertising, and both will grow far more slowly than Facebook’s user base. Facebook could see meager revenues in India for years to come even with high usership- and the related operating costs to support those users. Clearly, some of these problems are not unique to India. In multiple markets around the world it has proven very difficult for any company, social networking or otherwise to garner strong advertising revenue from handsets. This is a problem Facebook faces globally, and has been identified as a prime culprit for its weak share prices. And to be fair to the Indian government, Facebook will be running into tough questions on the subject of privacy concerns with governments around the world. None of the challenges are unique to Facebook. Legal and revenue problems aside, Facebook cannot afford to pass up on India and has acted accordingly. Even if the Indian user market is not profitable in the short run, there are benefits to being the first mover in that market, as well as to hiring low-cost labor for global operations based in Hyderabad. With China effectively under blockade by its own government, India stands to be the largest market for the foreseeable future. And the upside is nearly a given; as the Indian middle class grows, so will the online advertising industry and ostensibly, revenue potential for those who are patient. Facebook’s user and earning potential in Western nations is approaching its plateau. So it will not have a choice anyway. Google + and other new challengers in stealth mode will not be far behind, in India or anywhere else. Posted on June 21, 2012, in Commerce and tagged Divya Narendra, Facebook, Facebook India, Kirthiga Reddy, Sanjay Mavinkurve. Bookmark the permalink. 2 Comments. Social Squared is an IIM alumni venture based in Mumbai. We work with brands across owned, bought & earned media. Our digital media offerings cover website design & development, SEO, SEM, advertising campaign, social media planning & management, email marketing & blogging & content generation. Our clients include India’s largest home grown pizza chain & India’s largest contract staffing company. Indian marketing campaigns and causes have prominently featured Facebook roll-outs with great success.